If you are a farmer that wants to sign-up to participate, please visit www.diginvt.com/blog/openfarmweekforfarmers before July 1! Open Farm Week is August 3-9; a time when many farms and farmers markets are at their peak of production and have a variety of different products to showcase to visitors. Building off of the success of NOFA Vermont’s 2014 Open CSA Farm Day, several organizations from around the state are coming together to organize Open Farm Week, expanding both the scope and the length of the event. Our goal is to strengthen consumers’ connections to their growers, while teaching them how to access Vermont-grown products. We envision this will become an annual event that engages both locals and vacationers in building relationships with our farmers and interest in our amazing working landscape. Based on feedback from last year’s Open CSA Farm Day, we chose early August as a time when many farms and farmers markets are at their peak of production and have a variety of different products to showcase to visitors. We also recognize that one specific day might not work well for everyone, so have expanded the event to a whole week to provide the opportunity for farmers and food lovers to participate on whichever day(s) work best. NOFA Vermont has received funding from the USDA Agricultural Marketing Service’s Farmers Market Promotion Program to augment our CSA-focused Specialty Crop Block Grant from the Vermont Agency of Agriculture in order to expand our outreach for this event to all farms that market directly to consumers. We are excited to be able to promote Vermont certified organic CSAs and farmstands as well as those that are members of NOFA Vermont. In addition, the Open Farm Week coincides with the annual National Farmers Market Week and we will be promoting markets that are members of the Vermont Farmers Market Association. To find more information or if you are a farmer that wants to sign-up to participate, please visit www.diginvt.com/blog/openfarmweekforfarmers. The list of participating farms will be updated on a rolling basis. Sign-ups end July 1 and by mid-July the final list will be set. NOFA-VT is working with the following partners to organize this event this event: City Market, Dig In Vermont, the Farm-Based Education Network, the Intervale Center, the Neighboring Food Co-ops Association, Shelburne Farms, Vermont Agency of Agriculture, Vermont Department of Tourism and Marketing, the Vermont Farm to Plate Network Agritourism Task Force, Vermont Farm Tours, the Vermont Farmers Market Association, Vermont FEED, and the Vermont Fresh Network. Agricultural research done in universities and institutions can have a big impact on policy and funding, as well as the development of practical tools, techniques, breeds, and more for farmers. Often one of the first steps in a research project is a survey – to determine the level of need or interest, or to gather a snapshot of perspectives and information. There are a few surveys out at the moment that could use the input of Vermont farmers, and we hope you’ll take a few minutes out of your busy harvest season to fill out one or more. Please complete this survey by October 22. The purpose of this survey from the Organic Seed Alliance is to better assess certified organic crop producers’ attitudes and perceptions regarding organic seed. The purpose is also to understand producers’ current use of organic seed and any obstacles that restrict organic seed sourcing. Producers should be prepared to offer best estimates on their organic seed usage or have their seed records on hand. The survey also asks which crops and traits should be prioritized through organic plant breeding programs. If you are a certified organic crop producer, please take ten minutes to respond to this survey, even if you currently do not use organic seed. The focus of this survey from the University of Connecticut is to better understand the state and local regulatory environment for agricultural production within your state. Share the Harvest on October 2! You’re invited! We are pleased to announce our collaboration with approximately 70 restaurants, food markets, and food cooperatives throughout Vermont for the 20th annual SHARE THE HARVEST fundraising event. On Thursday, October 2nd, participating restaurants and food stores will donate a percentage of their sales to NOFA-VT’s Farm Share Program. Our Farm Share Program is dedicated to working with Vermonters who cannot afford to purchase fresh, local produce on a regular basis. All funds raised on October 2nd will benefit these individuals by subsidizing the cost of farm-fresh produce from local Community Supported Agriculture (CSA) farms. The Farm Share program has been helping limited-income Vermonters purchase food from local farms since 1994. In those 20 years, thousands of individuals and families have benefited from a season’s worth of locally grown vegetables and fruits as well as farm education initiatives. In 2014, we have served over 1,400 individuals and families, leveraging over $73,000 of income for Vermont farmers. For a listing of participating restaurants, co-ops, and food stores, and to learn more about the Farm Share program visit our website or call NOFA-VT at 802-434-4122. Hey farmers! We’re partnering with the Agency of Ag on a project to help determine the level of interest from producers in institutional and wholesale markets. We’re hoping you can take about 10 minutes out of this busy season to fill out a short survey, which will help us understand the current supply and demand in this market, the level of interest amongst producers, the room for growth, and what kinds of support and technical assistance would be most useful. 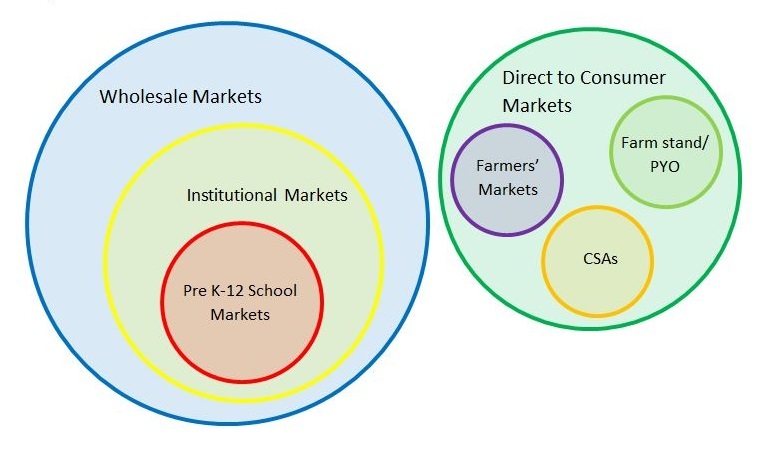 We see wholesale and institutional sales (such as those to grocery stores, schools, and hospitals) as a key market for future local foods growth. These markets reach large numbers of customers, many of whom may not be seeking out local products or participating in direct-market channels such as farmers’ markets and CSAs. By making local foods more accessible to more people, we can increase awareness and create demand. We hope that you’ll help us analyze and understand this market, your participation in it, and how best we can work with producers and other partners to make wholesale and institutional sales successful for Vermont farmers and processors. There has been a lot of great discussion going on in response to the recent New York Times editorial, Don’t Let Your Children Grow Up to Be Farmers. Author and farmer Bren Smith laments the fact that, despite a great resurgence of interest in food and in farming as a career, making a profitable business out of farming is still a huge challenge. At NOFA-VT, we firmly believe that sustainable farming must include the farm’s financial stability. That’s why we put so much energy into building diverse markets and educating consumers, and why our technical assistance and farmer training programs include business planning, enterprise analysis, and marketing alongside soil management and weed control. We advocate on state and federal levels for legislation that supports small-scale, family, and organic farms. Along with our six sister NOFA chapters (plus MOFGA! ), we’re able to conduct regional projects and be a strong voice for New England farmers on national issues. Smith suggests, rightly, that farmers and those who care about their food need to organize to make the substantial changes in the food system that will be required for farmers to succeed. We’ve been working with Vermont farmers and in the regional food system for over 40 years, and we hope that you’ll join us as we continue to work towards the goals of successful local farms, healthy food, and strong communities. All farmers and their supporters are welcome as members. Help us improve the viability of Vermont’s farmers and the vitality of our rural communities – become a member today! The Northeast Organic Farming Association’s (NOFA) 40th annual Summer Conference takes place August 8-10, 2014 at the University of Massachusetts, Amherst. Appealing to a wide range of interests, 1400 consumers, gardeners, farmers, food policy experts, and urban agriculturalists travel from across the northeast and beyond to participate in 150+ workshops, pre-conference events, farms tours, and much more. This conference is a collaborative project of all seven NOFA chapters. This is a family-friendly event, with special conference tracks for children 5-12 and teens 13-17. While parents attend great educational workshops on gardening, farming, nutrition, and ecological sustainability, children experience age-appropriate and fun workshops about these same topics with other youth. Childcare is available for children 2-4. Affordable accommodations (like camping and dorms) are available, as are scholarships, group discounts, work exchange, and other creative financing options. “At the heart of NOFA as an organization is the NOFA Summer Conference. A place of inspiration, awakening, reconnecting, and practical education, it is the event that for 40 years has brought the brightest, best, and most collaborative farming game-changers together for one packed weekend celebration of life and farming,” says farmer, former NOFA Summer Conference Coordinator, and current NOFA/Mass Executive Director, Julie Rawson. Trained as a microbiologist, Dr. Elaine Ingham, this year’s keynote speaker, brings a unique perspective to her work with farmers. Her goal is to develop soils that foster thriving microbial communities. Her simple approaches to building soil biology require less labor and off-farm inputs and ultimately help save farmers money, while reducing adverse ecological effects of conventional farming. She maintains that by building soils teeming with the right kind of biology, growers can mitigate plant pests and diseases. In addition to her Friday all-day pre-conference seminar titled “Changing Dirt into Soil: Specific Approaches for Different Soil Types and Crops”, Ingham will lead three workshops during the conference. Three half-day pre-conferences will also take place on Friday, including “Tools for Resilient Urban Ecosystems” with Scott Kellogg; “Healing the Gut and the Body through Nutrition” with Dr. Chris Decker; and “Bioregional Herbalism: Stocking the Home Apothecary with Locally Abundant Herbs” with Jade Alicandro Mace. Saturday and Sunday’s workshops are geared to many skill levels and interests. Knowledgeable and experienced instructors will offer workshops on topics such as nutrition and health, food politics, land access, crop production, cooperative economies, urban and international agriculture, gardening, animal husbandry, farm economics, food preservation and cooking, permaculture, and mitigating climate change through agriculture. There will be a sing-along event on Friday evening called “Singing for Food and Freedom: Carrying on the Legacy of Pete Seeger” (free for conference registrants and open to the public with a $5-$10 suggested donation). The weekend also features films (such as The Queen of the Sun, Out Here, and Food for Change), meet-ups for participants from a variety of interests, organic meals, a country fair, a contra dance, 100+ exhibitors, and more. Learn more and register at www.nofasummerconference.org! These items were left over from NOFA-VT’s annual Bulk Order. The Bulk Order gives NOFA-VT members and the general public the chance to purchase quality farm and garden products that meet the National Organic Standards at volume discounts. All income generated from the Bulk Order goes to support NOFA Vermont’s Farm to Community Mentor Program. To place an order please contact NOFA at 802-434-4122, or info@nofavt.org. All products are sold on a first-come, first-served basis. Smaller items can be mailed; shipping will be added to cost. Large items must be picked up at our Richmond office. We will update this list as items are sold. Have you ever been curious if a CSA is right for you but aren’t sure where to start? To learn more about CSAs and meet the farmers, join NOFA-VT and over 50 Vermont farms in our Open CSA Farm Day, Sunday May 4th from 1-4pm. During this time, CSAs across the state will open their doors for tours, questions & answers with the farmers, tastings, demonstrations and more! CSA stands for Community Supported Agriculture and is a type of direct marketing relationship between farmers and subscription consumers. CSAs invite consumers to directly support a farm or group of farms by purchasing a seasonal share of goods. 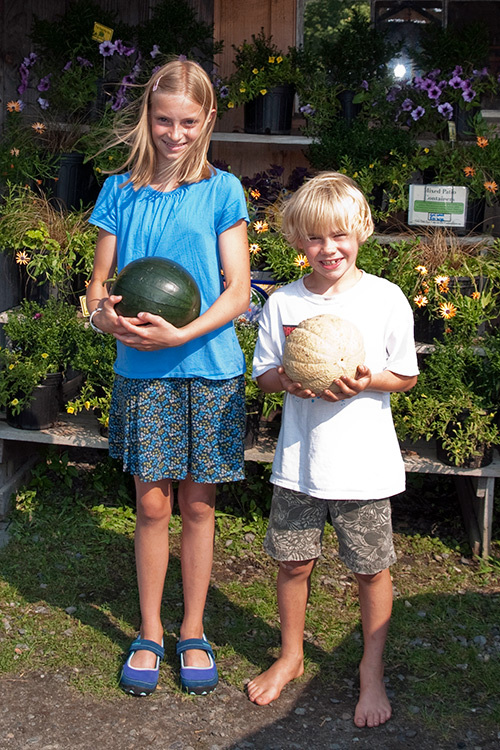 Many CSAs in Vermont offer produce while some also offer meats, eggs, and other goods. There are many different types of CSAs to fit different needs. Do you like experimenting with new vegetables? A classic “box” share, in which the farmer determines the each week’s share based on what’s in season, may be great for you. If you feel less adventurous or have a list of veggies you don’t like, maybe a “free choice” share would be a better fit. Many people enjoy going to the farm each week to pick up their share, while others prefer the convenience of a home or worksite delivery. Some CSAs offer products from multiple farms and may bring in “extras” like bread or cheese. Some farms offer shares only in the summer while others specialize in providing shares all year. Your options will vary depending on where you live and what the farms around you are doing. Visiting a CSA farm and talking with the farmer is a great way to learn more about their CSA and determine if the CSA is right for you! We hope you will join us in visiting many of the Open CSA Farms on Sunday, May 4th. Everyone is welcome to this family-friendly event! For more information about the farms participating, visit our website or call the office at 802-434-4122.